If you use multiple Wi-Fi networks on your mobile phone, you may need to view the saved passwords in the future. When you connect your Android device to a WiFi network, your device saves the password of the WiFi network to connect to it in the future. It means you don’t have to put the WiFi password every time you want to connect to the network. Every Wi-Fi network has a different password, and your device saves all of them in the mobile phone root files. It is a very amazing feature as it saves you time and efforts. Moreover, you don’t have to remember the passwords of different WiFi networks from different places like school, home, office, gym, etc. 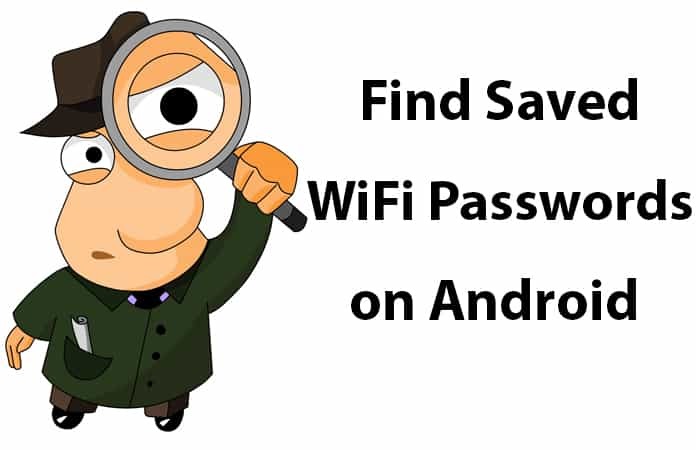 In this post, we will show you how to view saved WiFi passwords on Android. The only problem with Android WiFi networks is you cannot view the saved passwords from your mobile. It means if you have forgotten the password of a Wi-Fi network and you need to reconnect to it, you cannot do it until you know the password. This situation could also occur if you want to connect your device to the same WiFi to which your Android phone is connected to. But as you cannot view saved WiFi passwords on Android, you cannot connect your device to the WiFi network. To overcome this problem, developers have introduced some methods of how you can view saved password on Android devices. 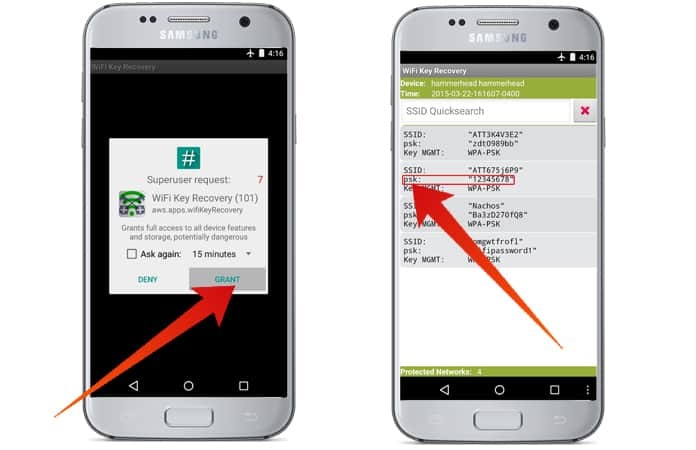 Keep in mind that all of those methods need root on your Android phone. You will have to root your phone to use this feature. There are many ways of viewing saved WiFi passwords. We will discuss two most useful of them today. If you want to view the saved WiFi passwords on your Android phone or tablet from the system files, you will have to use the file manager. The built-in file manager of Android does not support to see the system files. So you will have to use another file manager that supports rooted access and viewing system files. You can try ES File Explorer for this purpose. This app is available in the Play Store, and you can easily get it from there. 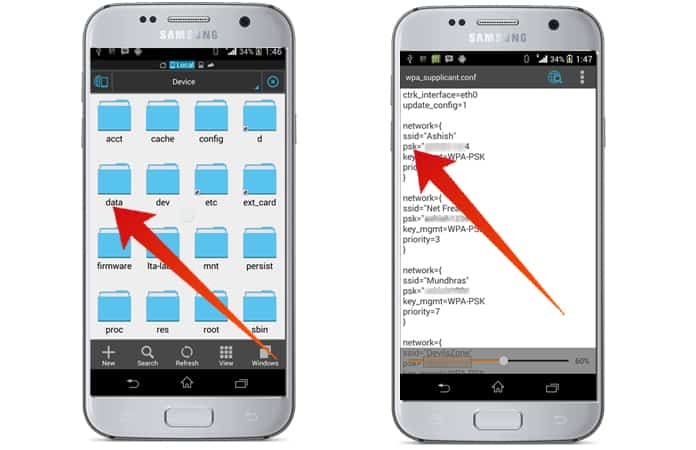 Step 1: Open the ES File Explorer app and in the Device section, click on Data folder. Step 2: Now click on the misc folder under data and click on wifi folder. Step 3: Here you will see a file named wpa_supplicant.conf, click on it to open it as a text/HTML viewer. Step 4: Here you will see all the WiFi network names and passwords. The second method is viewing WiFi passwords from a third party app. there are a lot of apps available on the Play Store that you can use to view your WiFi saved passwords. Keep in mind that all of those apps required root permission in order to show you’re the WiFi passwords. If your phone is not rooted, you won’t be able to view the passwords. Just install an app and view the Wi-Fi saved passwords on your mobile. We recommend you to use WiFi Key Recovery app to do this job. Step 2: Install the app on your Android device. After that this app will ask for Superuser access and you need to tap on Grant option. Step 3: You will see a list of all of the Wi-Fi networks that you’ve been connected to. Step 4: In the “psk” field you will see the password of the wifi network you need. That is all! We hope that you liked our post and don’t forget to like, share and write your comments in the section below.